Life coaching is a professional practice which aims to help people flourish in life, by living according to their strengths, striving to reach goals, and achieve well-being in all areas of life. At colleges and universities in the United States, free counselling resources are sometimes provided for students, but coaching services are less commonplace. The current mixed methods study explores some of the advantages and outcomes of providing life coaching to undergraduates, including important increases for students in the following areas: self-confidence, satisfaction with choice of major, awareness of values and alignment with decision making, connection to life purpose, and individual goal setting and attainment. Lefdahl-Davis, E., Huffman, L., Stancil, J. and Alayan, A. (2018) 'The Impact of Life Coaching on Undergraduate Students: A Multiyear Analysis of Coaching Outcomes', International Journal of Evidence Based Coaching and Mentoring, 16 (2), pp.69-83. DOI: 10.24384/000560 (Accessed: ). Life coaching is a professional relationship that has been found to have a significant positive impact on many aspects of one’s life, including improved well-being, attainment of goals, alignment with values, strengths and purpose, overcoming obstacles and successfully managing transitions (Govindji & Linley, 2007; Grant, 2003; Green, Oades, & Grant, 2006; Linley, Nielsen, Gillett, & Biswas-Diener, 2010; Tofade, 2010). During college, when students may be experiencing struggles related to career indecision, overall life satisfaction, and/or academic and social challenges, life coaching can provide an opportunity to overcome barriers and thrive in each of these areas. Life coaching is a process focused on collaboration and solutions, in which a coach assists and facilitates an individual in achieving his or her goals and improving his or her life (Grant, 2003; Green, Oades, & Grant, 2006). Life coaching has roots in positive psychology, as the coaching process focuses on an individual’s strengths (and builds on those strengths) and the positive parts of one’s daily experience (Govindji & Linley, 2007). Some scholars claim that coaching originated in classical times, but literature on life coaching was first published in the nineteenth century (Garvey, 2011). Life coaching as a professional practice has been growing slowly since that original publication, but has had the most significant growth since 1998, becoming increasingly popular in the last few decades (Grant, 2003; Garvey, 2011). Coaching is distinct from mentoring, therapy, and teaching. Coaching focuses on working with a non-clinical population to achieve specific goals and work through steps needed to achieve those goals, whereas therapy focuses on pathology, clinical populations and presenting problems and diagnoses. A coach-client relationship is viewed as an equal partnership, whereas there is an expert-novice relationship in mentoring and teaching (Griffiths, 2005). In essence, coaching is the professional practice of collaborating with clients in a thought-provoking and creative process to maximize potential. The most common objective for coaching is to gain new insight and create new habits as clients move toward a more fulfilling and flourishing life. Coaching exists in many forms and in many styles and settings, including the workplace and higher education. The goals that the client can choose to focus on in life coaching varies greatly, but can include increased self-awareness, a greater sense of well-being, lower stress levels, increased self-confidence, more effective communication, and problem-solving skills (Griffiths, 2005). Life coaching can also be a time where individuals focus on making decisions related to their career choices, and how their personal strengths and values are related to their future career. For this study, the style of coaching focused primarily on professional and personal thriving. After an initial discovery session, clients focused on exploring life purpose and clarifying goals such as deciding on a major or making personal and professional decisions. At the University in this study (in the United States), the life coaching programme supports a Life Calling and Career department. In additional to helping students select a major, the mission of this office is to help students discover their unique sense of self, develop a sense of life calling, and equip students with fundamental life skills for future personal and professional success. The life coaches within this department are comprehensively and nationally certified through coaching programmes approved and accredited by the CCE (Center for Credentialing and Education). Credentialing includes a minimum of 60 hours in coach training, supervision with a board certified coach, and over 30 hours of coaching experience with clients. Coaches in this study are also BCC (Board Certified Coach) or ICF (International Coach Federation) certified. As life coaching has increased in popularity, there have been a growing number of empirical research studies validating the efficacy of life coaching within various populations, including among university students (Dyson & Torbrand, 2015; Grant, 2001). The research that has been conducted on life coaching has revealed several positive outcomes of the life coaching process for highly stressed university students (Fried & Irwin, 2016), college students with learning disabilities and ADHD (Boutelle & Parker 2009), female students with obesity (Irwin, Morrow, Van Zandvoort, 2009), and English college students prone to procrastination (Dyson & Torbrand, 2015). Life coaching has been found to produce specific positive outcomes, including a heightened sense of self-awareness and greater insight, as well as greater well-being and improved quality of life. Grant (2003) discovered that life coaching enhanced mental health and satisfaction with life in individuals, even though improving mental health was not the direct intention of the life coaching process. Life coaching has also been found to facilitate goal attainment (Grant, 2003) and have positive effects on one’s total hope, which could be related to one’s attainment of goals (Green et al., 2006). Coaching can also help individuals clarify and accomplish career goals (Tofade, 2010). The positive outcomes of life coaching have the potential to impact an individual’s life long-term and, if sustained, can assist in the pursuit of a better quality of life (Griffiths, 2005). “It appears as if the well-being that results from goal progress and psychological need fulfillment may act as a cognitive and affective reinforcer, leading to greater goal progress later on” (Linley, Nielsen, Gillett, & Biswas-Diener, 2010). Coaching has been researched in various populations, including students of all ages. One study found that coaching with female senior high school students led to increased hope and decreased depression and anxiety (Green & Norrish, 2013). Another study found that coaching with elementary school children led to increased hope and engagement (Waters, 2011). Further research on the efficacy of life coaching is needed in order to offer greater credibility of the life coaching process (Grant, 2003; Short, Kinman, & Baker, 2010). College students are experiencing a large number of stressors, including financial difficulties, academic struggles, career indecision, personal issues, and relationship conflicts. These stressors are occurring within a time of transition, which adds tremendously to the negative effects that these stressors can have on college students. These negative effects include anxiety, depression, and possibly dropping out of college (Short, Kinman, & Baker, 2010). Life coaching can be a beneficial tool to help students effectively manage the plethora of stressors, and can be a convenient and inexpensive option for students to pursue during a key time of transition and growth. Coaching can help students manage stress and anxiety and enhance personal growth (Short et al., 2010). Even though life coaching has been growing considerably, the presence of coaching in higher education contexts is minimal (Griffiths, 2005). Empirical research has been completed with specific populations of college students that helps to prove the effectiveness of life coaching. The efficacy of life coaching as an intervention has been studied in specific populations, including individuals on the autism spectrum and those with ADHD. Geller & Greenbergh (2009) conducted a study with college students on the autism spectrum, and found that life coaching positively influenced their emerging sense of independence and aided goal attainment. Boutelle and Parker (2009) and Buchanan (2011) conducted research on college students with learning disabilities and ADHD; they discovered life coaching increased college student success by fostering self-determination. Life coaching can help students with ADHD achieve academic success by attaining goals related to skills like time management and prioritization. Bellman, Burgstahler, and Hinke (2015) found that coaching had a significant positive impact on students with disabilities in their pursuit of science, technology, engineering, and mathematics degrees. Students reported that participating in coaching helped them achieve several educational and personal goals, including improved goal setting, increased confidence, and a more focused and organized career search. Students reported learning specific life skills through coaching, including time management, organizational skills, and goal setting. Even though life coaching is not specifically focused on mental health, studies have shown that life coaching improves mental health functioning. Grant (2003) conducted a study with 20 post-graduate students, and found that not only did goal attainment increase after life coaching, but depression, anxiety, and stress were notably reduced after the intervention. Short, Kinman, and Baker (2010) as well as Fried and Irwin (2016) also discovered that coaching helped undergraduate students manage stress. Improving overall mental health, as well as learning to better manage stress and anxiety, can lead to better academic performance (Bevine, Meyers, & Houssemand, 2013). Given this research, life coaching could provide positive outcomes regarding the mental health of college students who are encountering various stressors. Many students frequently report procrastinating on work that needs to be completed. Procrastination has been shown to have adverse effects on academic performance. Coaching has been found to have potential positive effects on lowering procrastination and increasing student productivity (Dyson & Torbrand, 2015; Sims, 2014). Various studies have revealed that life coaching positively affects characteristics of student success. For example, life coaching has positive effects on academic self-efficacy, which is the strongest predictor of academic performance (Franklin & Doran, 2009). It also positively affects hope, which is related to well-being, optimism, and problem solving (Franklin & Doran, 2009). Another impact of life coaching is increased resiliency, which can help an individual persist through stressful situations. Life coaching has also been shown to create a growth mindset, which is linked to academic success and more persistent motivation (Franklin & Doran, 2009). An increased sense of self-efficacy, hope, and resiliency, along with a growth mindset, can help students navigate the stressful college experience. Life coaching has been found to have a positive effect on all these aspects of students’ lives, which further affects students’ overall success in college, and in life. Franklin and Doran (2009) conducted a study in which college students who received life coaching increased in academic self-efficacy, hope, resiliency, growth mindset, self-compassion, and academic performance. Coaching interventions can have a significant impact on college students in many areas of their lives. Approximately 25% of college students in the US fail to return to school after their freshman year, representing an increasingly common phenomenon (Kahn & Nauta, 2001; Olbrecht, Romano, & Teigen, 2016). Demographically, a large proportion of these students are already underrepresented in higher education, with many identifying as first-generation college attendees, racial or ethnic minorities, and/or individuals from low-income households (Bettinger & Baker, 2011; Kahn & Nauta, 2001). High attrition rates are problematic for both students and academic institutions; students may experience negative financial and emotional strain, while institutions also suffer financially. When college students experience an increased amount of stressors during their transition to college, they may be tempted to drop out. Higher education institutions can provide life coaching services to students to improve retention rates. Life coaching can serve as a more cost-effective means to help retention, rather than other more costly alternatives (Bettinger & Baker, 2011). Hossler, Ziskin, and Gross (2009) found that life coaching performed with students who were undecided on their major helped reduce attrition rates. Students reported that the support they received from their life coaches helped them with making decisions related to their career and major choice; they also reported being more likely to re-enroll for the next semester and following year. Students who have a clearer sense of career goals are more likely to stay in college and graduate. At a time when colleges are focused on job preparation, life coaching can help students obtain a greater vocational perspective. Life coaching can help students ask questions central to their identity, such as: “Who am I?” and “Who do I wish to become?” These types of questions can encourage students to place their vocational goals within a broader context of purpose (Abowitz, 2006). The learning that occurs through life coaching is important and lasting. It is a process that emphasizes learning and the integration of change into various areas of life. The learning that occurs during life coaching is informal, skills-based, and experiential. The learning that occurs during the coaching process is learning that can affect the duration of a lifetime, yet can also be immediately and directly applied to the academic environment of college. Life coaching, therefore, not only has positive effects on students’ mental health and well-being, but also positively affects students’ lifelong learning (Griffiths, 2005). However, it cannot be assumed that all forms of life coaching are beneficial and will deliver tremendous results. It is important for higher education institutions to gauge the needs of their students when forming life coaching programmes. It is also crucial for institutions to evaluate their life coaching programmes periodically, in order to ensure that the coaching offered by a university is having a positive result on the students served. Higher education institutions need to make sure that students are aware of the life coaching programmes available so they can take advantage of this service (Franklin & Doran, 2009). Minority undergraduate students are more likely to encounter stressors than their non-minority peers. Cultural Mismatch Theory suggests that cultural norms present in American institutions (i.e. schools, colleges and universities) are different from norms possessed by groups that are underrepresented, including first-generation students and racial and ethnic minorities. For underrepresented individuals, this leads to inequality and barriers to attaining academic success. Cultural Mismatch Theory suggests that first-generation college students are at a greater disadvantage due to little exposure to skills necessary for success in college, such as internship application writing and study skills, among others (Housel & Harvey, 2009). Cultural Mismatch Theory suggests that “facing a culturally-mismatched environment can lead to a generally aversive psychological state” (Stephens, Townsend, Markus, & Phillips, 2012, p. 1390). Cultural Mismatch Theory provides an explanation for the academic, social, and emotional differences present with students from varying racial and ethnic backgrounds. Very little empirical research has been conducted regarding the efficacy of life coaching with minority students. Most of the research that has been conducted involves students in other countries, and not minority students in the United States. One study examined life coaching outcomes with dental and medical students in Saudi Arabia. This study found that students improved significantly in life satisfaction and general self-efficacy, and reported lower levels of depression (Aboalshamat, Hou, & Strodl, 2013). Another study considered the efficacy of a character strength-based intervention with students at a university in China, and found significant increases in life satisfaction through the intervention (Duan, Ho, Tang, Li, & Zhang, 2014). Life coaching emphasizes strengths in the lives of students, and research has found that strengths are fairly consistent in their endorsement across cultures (Govindji & Linley, 2007). The majority of previous studies on life coaching interventions with students of various cultures support the hypothesis that life coaching affects life satisfaction, self-efficacy, and levels of depression, anxiety, and stress (Govindji & Linley, 2007). However, not many studies to date have examined the potential impact of life coaching on minority students at a university in the United States. Further research is needed and recommended to explore the potential impact of life coaching on minority students attending a university in the United States. The majority of previous studies on life coaching with undergraduate students focused on a specific population, such as students with ADHD, students with disabilities, obese female students, or students under high stress. Research has revealed that coaching has many positive effects, including increased well-being and persistence, and decreased depression, anxiety, and stress (Newnham-Kanas, Gorczynski, Morrow, & Irwin, 2009). This study builds on prior research to explore the effectiveness of life coaching with a general population of undergraduate students, particularly in specific areas that relate to retention, student satisfaction, and career planning. The benefits of this study are significant for analyzing the effectiveness of life coaching at the undergraduate level. Since the university examined in this research offers free life coaching services to all undergraduate students, it provided a unique opportunity to analyze the effectiveness of coaching for students within the university environment. The purpose of this study was to evaluate the effectiveness of life coaching with undergraduate students, particularly in the following areas: awareness of values and alignment with decision making, confidence in goal setting and attainment, confidence in choice of major and satisfaction with that major, compatibility of choices with faith, values, and strengths, confidence in life purpose, and self-confidence. The benefits of this study are significant for analyzing the effectiveness of life coaching at the undergraduate level. First, there is very little outcome data using life coaching with undergraduate students from the general population (rather than specific groups, such as those with ADHD or disabilities). Second, exploring the effectiveness of life coaching may increase the understanding of life coaching while helping future students to become aware of the ways life coaching can help them with educational pursuits. Finally, free life coaching is a unique opportunity that many colleges and universities do not provide. 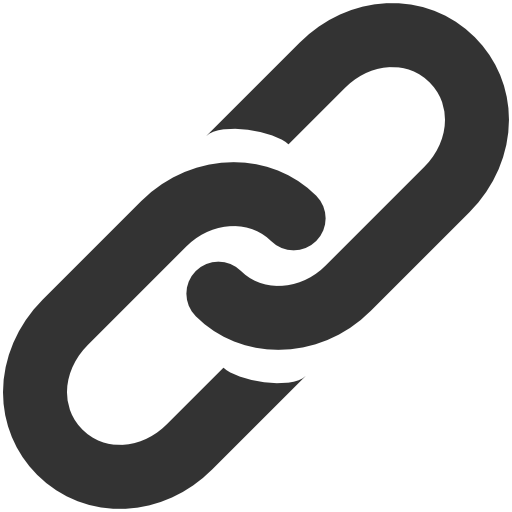 Demonstrating the effectiveness of this service to students may increase retention and student satisfaction by promoting coaching services as a distinctive type of support for students. This mixed methods study examined data compiled by the Life Calling and Integrative Learning (LCIL) department at a small, liberal arts university in the Midwestern region of the United States. The research was conducted by analyzing pre-coaching and post-coaching outcomes for all students who were coaching clients across three academic years (2013-2016). Student surveys were confidential, with no identifying information shared during the process of compiling and examining results. The data was analyzed using quantitative and qualitative methods, including statistical comparisons, participant feedback (qualitative questions), and self-reported degrees of change from pre-coaching to post-coaching. Participants for this study were voluntarily self-selected by choosing to engage in a minimum of three coaching sessions through LCIL, between the years of 2013 and 2016. Students were offered the option of taking a pre and post coaching survey at the beginning and end of their coaching experience. All students included in the study participated in life coaching on campus, worked with a nationally certified life coach for a minimum of three sessions, and voluntarily completed the pre-coaching and post-coaching surveys. The life coaching experience examined for this study was the first life coaching opportunity for each participant. There were 94 student participants in the study; 88% female and 12% male. 91% of participants identified as Caucasian, 6% identified as Black, and 3% as Hispanic. Of the 94 students who received coaching, 73% were freshmen, 17% were sophomores, 7% were juniors and 3% were seniors. The minimum number of coaching sessions received by students was three; the maximum was twelve, leading to a range of 3-12 coaching sessions across participants, all with certified coach professionals. The impact of coaching on the minority students in this study, as well as the need for future research focused on coaching with minority students, is included in the Results and Discussion section. Due to the nature of the data, participants faced very little risk in participating in the study. Their data was archived, confidential, and positive in nature. Demographic information was not linked to particular responses, and qualitative information was meticulously protected. All archival data of the pre and post coaching results of the 94 study participants was analyzed using the following procedures. The purpose of this study was to explore what has been learned from the life coaching research conducted on specific demographics to a more general sample of undergraduate students. Starting in the the fall of 2013 and continuing through the spring of 2016, the pre and post life coaching surveys were administered to over 100 hundred students who participated in life coaching. These results represented the full range of class levels, and all students included in the study participated in at least three coaching sessions. Responses were collected via online surveys administered to students immediately before and after their coaching experience. This was the first coaching experience for all students in the study. Student participation was optional, and no incentives were offered for completion. After removing students who completed only one of the surveys and those cases with missing values, the final sample contained 94 full-time undergraduate students. The pre and post coaching survey used is a 10-item assessment that measured student-perceived change, growth, and development. Each question was framed as a statement to which the student participants responded on a five-point Likert-type scale ranging from 1 (strongly disagree) to 5 (strongly agree). All archival data of the pre- and post-coaching results were analyzed using the following procedures. 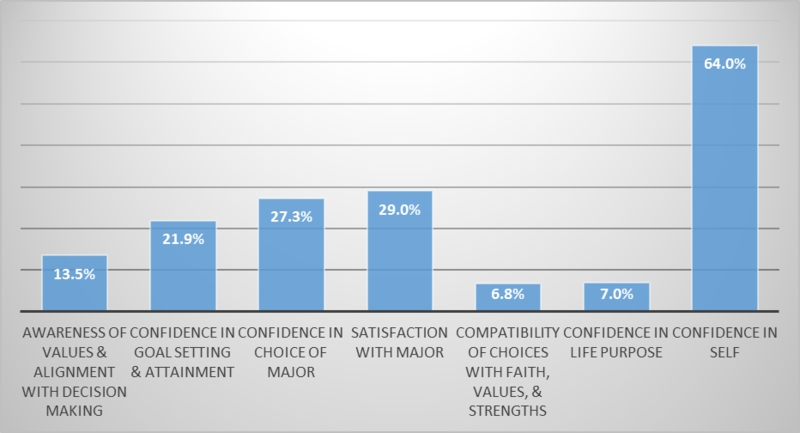 First, the data was collected and sorted into seven domains: (a) Awareness of values and alignment with decision making; (b) Confidence in goal setting and attainment; (c) Confidence in choice of major; (d) Satisfaction with major; (e) Compatibility of choices with faith, values, and strengths; (f) Confidence in life purpose; and (f) Confidence in self. These domains provided the necessary categories for concise consolidation of data analysis, given the content and description of the survey questions. Once the data were sorted and compiled for each survey, the average responses within each domain were configured. Next, using SPSS data software, a paired samples t-test on the seven domains was utilized between the pre and post coaching survey to test the null hypothesis and determine statistical significance. 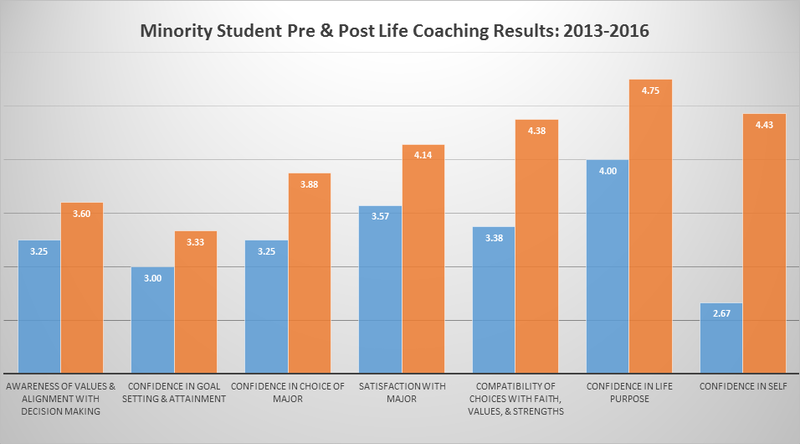 The data analysis indicated important changes within each domain tested, indicating that all of the students who received life coaching in the study reported a positive impact. Both quantitative and qualitative measures demonstrated self-reported change for participants, with self-confidence showing particularly important gains. Further, statistical significance (p<.01) was found for all seven areas of life coaching domains, meaning the positive change from pre to post is noteworthy. The coaching outcomes for students who received at least three sessions of life coaching were positive and statistically significant (<0.01), and included students reporting important increases before and after coaching in the following areas (in order of gain, from greatest to least): confidence in self (64% increase), satisfaction with major (29% increase), confidence in choice of major (27% increase), confidence in goal setting and attainment (22% increase), awareness of values and alignment with decision making (14% increase), confidence in life purpose (7% increase) and compatibility of choices with faith, values and strengths (7% increase). Each of these gains were self-reported, based on students’ pre- and post- coaching surveys, responding to identical questions across seven core domains, according to a Likert scale (See Table 1, Figure 1 and Figure 2 below). Questions From Each Domain on Likert Scale: Strongly Agree = 5; Agree = 4; Neutral = 3; Disagree = 2; Strongly Disagree = 1. Although the number of ethnically diverse and minority students was low (n = 8, 9% of N = 94) compared to the majority (Caucasian, female) population, results of life coaching for minority students was uniquely important (See Figure 3). Especially in the domain of self-confidence, life coaching increased participants’ positive sense of efficacy by almost 70%. Every other domain also showed important increases, which seems critically important among a population of students that may be at risk for a decreased sense of belonging, social barriers, and injustice, which often leads to decreased retention. Further investigation is needed to expand these results (See Discussion Section). Life Coaching gave me confidence and affirmation in my goals. Life Coaching really showed me my strengths and motivations and how I can use them in my professional career in the future. I learned to ACTIVATE, set goals, and make movement in my journey of life. When you act on something, you'll get results. If you wait, things will only get cloudier. Everyone should check into Life Coaching. Even if you think you have everything figured out, you will still learn something about yourself during these sessions. While I was trying to figure out my major, I also learned so much about myself - what I am passionate about and how I can use my talents to serve others. You learn so much about yourself, and how to specifically apply your strengths to your social life, school work and future career. I think that it is extremely beneficial and that everyone would benefit from it whether they were confident in their major or not. You will get out of it what you put into it. It is a life changing experience that would benefit any student who is undecided or questioning their major. Very helpful and encouraging. Great for sorting out thoughts and desires. It really pushes you to look deeper within yourself to find who you truly are and I think that it’s so great. It’s very helpful. Life Coaching was a great resource for me as I struggled to figure out more about myself and who I want to be in this world. I still do not know exactly what I will end up doing with my life, but I now have the confidence to explore possibilities based on my strengths, values and personality. This confidence is a result of my life coaching experience, and I could not be more thankful for this opportunity! I loved life coaching because I had someone who really listened to me and helped me discover methods for reaching my goals which fit my unique personality and mindset. They didn't try to put me in a box. Life coaching is not counseling. It is an opportunity for you to learn about yourself and dig deep . . . while discovering your values and talents through the guided assistance of a coach who truly cares about you as a whole. It’s one thing to think something about yourself, it’s another to know, understand, and apply it. When you can do these things, there is no limit as to how much you can grow. [Coaching] is an experience that everyone should try. I believe this experience has shaped me into the person that I want to be. Life Coaching is a great opportunity for you to learn more about yourself, be challenged, and discover your purpose. Be open-minded and be prepared for anything because you never know what will come up. Don't give up if life coaching doesn't meet your expectations at first. Keep going. Be open and transparent, don't be afraid to open up and feel emotion. Don't be afraid to try new things and be faithful with implementing the challenges into your life outside of coaching. This experience is very encouraging and brings so much more peace than expected originally going into it. I would definitely recommend it. Coaching pushed me and challenged me in ways that I never knew I needed. Extremely beneficial for me regardless of whether we resolved all my goals. The topics/concerns discussed in life coaching changed week to week. I feel better equipped to work through whatever I am faced with as a result of my experience in coaching. My coach was amazing and my experience with her was transformative and I will be forever grateful. My coach did a great job and was effective in her coaching. She provided challenges that helped me grow much more than I thought was possible. It has helped me so much with my life in the future! I felt very comfortable talking and sharing with my coach: she did an excellent job providing a safe and encouraging environment. This experience allowed me to discover who I am, and who I want to be. I am a planter of hope and inspirer of greatness. This experience was very positive and there was nothing that I would have changed. My coach helped me reach goals that we did not even set coming into coaching. She really pushed me and allowed me to come as I was. Coaching was so helpful in giving me confidence and courage that I needed. I will recommend it to others that need it. My experience in life coaching was wonderful. The findings of this mixed-methods study confirm that coaching is an effective intervention for undergraduate students across several domains. Life coaching was effective as a way to increase self-confidence and satisfaction in academic pursuits, increase awareness of individual values and strengths, and provide successful goal setting and attainment. Gains across every domain tested were important for student participants in the coaching outcomes study, with self-confidence reported as the area most impacted by life coaching. Coaching is a helping profession that is uniquely positioned to provide help and hope to members of our society, institutions, and families who are in need of support and empowerment. Coaching has a positive psychology foundation that explores strengths, values, goals and dreams, while addressing how to overcome barriers, find purpose and identity, and encourage uniqueness and individuality. Coaching can be a powerful intervention for students who are in a transitional, challenging season of life. It can also be helpful to those in the minority, those who may feel misunderstood or invisible, and those who face significant oppressive factors in their personal or professional lives. Coaching is uniquely positioned to support growth and change through self-exploration, encouragement and accountability. In recent years, coaching research has demonstrated that coaching can be an effective intervention with particular populations in need of help and support, including postsecondary STEM students with disabilities (Bellman, Burgsahler & Hinke, 2015), rural LGBTQ members (Willging et al., 2016), individuals with autism (Weiss & Rohland, 2015), females struggling with obesity (van Zandvoort, Irwin & Morrow, 2009), and students with ADHD and learning disabilities (Field, Parker, Sawilowsky & Rolands, 2013; Swartz, Prevatt & Proctor, 2005; Prevatt & Yelland, 2015). This study of coaching outcome results from a general population of undergraduate students at a small, Midwestern university confirms that coaching is impactful across several domains including: awareness of values and alignment with decision making, confidence in goal setting and attainment, confidence in choice of major and satisfaction with that major, compatibility of choices with the students’ faith, values and strengths, and self-confidence. Several limitations should be noted in regards to this study. First, it was conducted on a small liberal arts university campus in the Midwest, which may not reflect the demographic of other college and university students. Second, coaches involved in the study were highly trained and supportive members of the university community, which provided an advantage to the students served and an impetus for positive change and greater commitment to the coaching. Not all life coaches at other institutions are certified, consistent, and compensated to serve students. This unique environment may make the aforementioned study difficult to replicate. Third, students self-selected for this research by choosing to sign up for life coaching on the university campus so there was no control group used in the study. It is possible that those motivated to pursue life coaching are ready for significant change, and therefore have greater gains than the general population of students. It is also possible that students advancing through college might increase in some of the tested domains as they pass through the university setting, merely as a part of the growth, development and increased learning that naturally occurs within an academic setting. As reported above, the small number of minority students involved in this research demonstrated positive effects from coaching, including even higher gains in self-confidence. While life coaching was shown to be effective for both majority and minority students, greater research and attention is needed with ethnically diverse students. This limitation warrants an extended discussion of the need for future studies examining coaching as a social justice intervention. Expanding the use of coaching to reach other minoritized and underserved populations could be a useful tool for social justice intervention. Coaching can be a support structure that encourages and creates equality for those who have traditionally been at a disadvantage in their current setting or environment. Future studies are encouraged to explore the impact of life coaching among ethnically diverse and underserved populations in college and university settings. Additional research is needed on minority students as well as expanded studies on coaching that make use of a control group. The recommendations for this study provide focus for professionals to understand and support undergraduates more effectively. This research can also provide further insights into the impact of coaching among college students so necessary changes can be made to college and university support structures. These suggestions can then provide further insight to student thriving, satisfaction, and retention. Aboalshamat, K., Hou, X. Y. and Strodl, E. (2013) 'Improving dental and medical students’ psychological health using a self-development coaching programme: A pilot study', Journal of Advanced Medical Research, 3(3), pp.45-57.Abowitz, K. K. (2006) 'The interdependency of vocational and liberal aims in higher education', About Campus, 11(2), pp.16-22.Becker, K., Darney, D., Domitrovich, C., Keperling, J. and Ialongo, N. (2013) 'Supporting universal prevention programmes: A two-phased coaching model', Clinical Child & Family Psychology Review, 16(2), pp.213-228.Bellman, S., Burgstahler, S. and Hinke, P. (2015) 'Academic coaching: Outcomes from a pilot group of postsecondary STEM students with disabilities', Journal of Postsecondary Education and Disability, 28(1), pp.103-108.Bettinger, E. and Baker, R. (2011) 'The Effects of Student Coaching in College: An Evaluation of a Randomized Experiment in Student Mentoring', Stanford University School of Education.Boutelle, K. and Parker, D. R. (2009) 'Executive function coaching for college students with learning disabilities and ADHD: A new approach for fostering self –determination', Learning Disabilities Research & Practice, 24(4), pp.204-215.Buchanan, T. (2011) 'Attention Deficit/Hyperactivity Disorder and Well-Being: Is Social Impairment an Issue for College Students with ADHD? ', Journal of Postsecondary Education and Disability, 24(3), pp.193-210.Curtis, D. F. and Kelly, L. L. (2013) 'Effect of a quality of life coaching intervention on psychological courage and self-determination', International Journal Of Evidence Based Coaching And Mentoring, 11(1), pp.20-38.David, O. A. and Cobeanu, O. (2013) 'Evidence-based training in cognitive-behavioural coaching: Can personal development bring less distress and better performance? ', British Journal Of Guidance & Counselling, 44(1), pp.12-25.Devine, M., Meyers, R. and Houssemand, C. (2013) 'How can coaching make a positive impact within educational settings? ', Procedia-Social and Behavioral Sciences, 93, pp.1382-1389.Duan, W., Ho, S. M., Tang, X., Li, T. and Zhang, Y. (2014) 'Character strength-based intervention to promote satisfaction with life in the Chinese university context', Journal of Happiness Studies, 15(6), pp.1347-1361.Dyson, V. E. and Torbrand, P. (2015) 'The experience of cognitive behavioral group coaching with college students: An IPA study exploring its effectiveness', International Coaching Psychology Review , 10(1), pp.76-93.Evans, C. and Lines, D. (2014) ''Which hat do I say I'm wearing? ': Identity work of independent coaching practitioners', European Journal Of Training & Development, 38(8), pp.1-17.Field, S., Parker, D. R., Sawilowsky, S. and Rolands, L. (2013) 'Assessing the Impact of ADHD Coaching Services on University Students' Learning Skills, Self-Regulation, and Well-Being', Journal Of Postsecondary Education And Disability, 26(1), pp.67-81.Fried, R. R. and Irwin, J. D. (2016) 'Calmly coping: A motivational interviewing via co-active life coaching (MI-VIA-CLAC) pilot intervention for university students with perceived levels of high stress', International Journal of Evidence Based Coaching and Mentoring, 14(1), pp.16-32.Franklin, J. and Doran, J. (2009) 'Does all coaching enhance objective performance independently evaluated by blind assessors? The importance of the coaching model and content', International Coaching Psychology Review, 4(2), pp.128-144.Garvey, B. (2011) 'Researching Coaching: An eclectic mix or common ground? A critical perspective', in Wegene, R., Fritze, A. and Loebbert, M. (eds.) Coaching entwickeln. Wiesbaden: VS Verlag für Sozialwissenschaften, pp.65-76.Geller, L. L. and Greenberg, M. (2009) 'Managing the transition process from high school to college and beyond: Challenges for individuals, families, and society', Social Work in Mental Health, 8(1), pp.92-116.Gessnitzer, S., Schulte, E. and Kauffeld, S. (2016) '). 'I am going to succeed': The power of self-efficient language in coaching and how coaches can use it', Consulting Psychology Journal: Practice And Research.Govindji, R. and Linley, P. A. (2007) 'Strengths use, self-concordance and well-being: Implications for strengths coaching and coaching psychologists', International Coaching Psychology Review, 2(2), pp.143-153.Grant, A. M. (2001) Towards a psychology of coaching. Sydney: Unpublished manuscript.Grant, A. M. (2003) 'The impact of life coaching on goal attainment, metacognition and mental health', Social Behavior and Personality: an international journal, 31(3), pp.253-263.Green, L. S. and Norrish, J. M. (2013) 'Enhancing well-being in adolescents: Positive psychology and coaching psychology interventions in schools', in Proctor, C. and Linley, C. (eds.) Research, applications, and interventions for children and adolescents. Netherlands: Springer, pp.211-222.Green, L. S., Oades, L. G. and Grant, A. M. (2006) 'Cognitive-behavioral, solution-focused life coaching: Enhancing goal striving, well-being, and hope', The Journal of Positive Psychology, 1(3), pp.142-149.Griffiths, K. E. (2005) 'Personal coaching: A model for effective learning', Journal of Learning Design, 1(2), pp.55-65.Hossler, D., Ziskin, M. and Gross, J. P. (2009) 'Getting serious about institutional performance in student retention: Research‐based lessons on effective policies and practices', About Campus, 13(6), pp.2-11.Housel, T. H. and Harvey, V. L. (2009) The Invisibility factor: Administrators and faculty reach out to first-generation college students. Boca Raton, FL: Brown Walker Press.Irwin, J. D., Morrow, D. and Van Zandvoort, M. (2009) 'The impact of co-active life coaching on female university students with obesity', International Journal of Evidence Based Coaching and Mentoring, 7(1), pp.104-118.Jordan, S., Gessnitzer, S. and Kauffeld, S. (2016) 'Effects of a group coaching for the vocational orientation of secondary school pupils', Coaching: An International Journal Of Theory, Research & Practice, 9(2), pp.143-157.Kahn, J. H. and Nauta, M. M. (2001) 'Social-cognitive predictors of first-year college persistence: The importance of proximal assessment', Research in higher education, 42(6), pp.633-652.Linley, P. A., Nielsen, A. M., Gillett, R. and Biswas-Diener, R. (2010) 'Using signature strengths in pursuit of goals: Effects on goal progress, need satisfaction, and well-being, and implications for coaching psychologists', International Coaching Psychology Review, 5(1), pp.8-17.Newnham-Kanas, C., Gorczynski, P., Morrow, D. and Irwin, J. D. (2016) 'Annotated bibliography of life coaching and health research', International Journal of Evidence Based Coaching and Mentoring, 7(1), pp.39-103.Olbrecht, A. M., Romano, C. and Teigen, J. (2016) 'How money helps keep students in college: The relationship between family finances, merit-based aid, and retention in higher education', Journal of Student Financial Aid, 46(1), p.2.Prevatt, F. and Yelland, S. (2015) 'An empirical evaluation of ADHD coaching in college students', Journal of Attention Disorders, 19(8), pp.666-677.Richman, E. L., Rademacher, K. N. and Maitland, T. L. (2014) 'Coaching and college success', Journal Of Postsecondary Education And Disability, 27(1), pp.33-50.Robson-Kelly, L. and van Nieuwerburgh, C. (2016) 'What does coaching have to offer to young people at risk of developing mental health problems? A grounded theory study', International Coaching Psychology Review, 11(1), pp.75-92.Segers, J., Vloeberghs, D., Henderickx, E. and Inceoglu, I. (2011) 'Structuring and understanding the coaching industry: The coaching cube', Academy Of Management Learning & Education, 10(2), pp.204-221.Short, E., Kinman, G. and Baker, S. (2010) 'Evaluating the impact of a peer coaching intervention on well-being amongst psychology undergraduate students', International Coaching Psychology Review, 5(1), pp.27-35.Sims, C. M. (2014) 'Self-regulation coaching to alleviate student procrastination: Addressing the likeability of studying behaviours', International Coaching Psychology Review, 9(2), pp.147-164.Stephens, N. M., Townsend, S. S., Markus, H. R. and Phillips, L. T. (2012) 'A cultural mismatch: Independent cultural norms produce greater increases in cortisol and more negative emotions among first-generation college students', Journal of Experimental Social Psychology, 48(6), pp.1389-1393.Swartz, S. L., Prevatt, F. and Proctor, B. E. (2005) 'A coaching intervention for college students with Attention Deficit/Hyperactivity Disorder', Psychology in The Schools, 42(6), pp.647-656.Tofade, T. (2010) 'Coaching younger practitioners and students using components of the co-active coaching model', American journal of pharmaceutical education, 74(3), p.51.Wasylyshyn, K. M., Gronsky, B. and Haas, J. W. (2006) 'Tigers, stripes, and behavior change: Survey results of a commissioned coaching programme', Consulting Psychology Journal: Practice & Research, 58(2), pp.65-81.Weiss, A. L. and Rohland, P. (2015) 'Implementing a communication coaching programme for students with Autism Spectrum Disorders in postsecondary education', Topics in Language Disorders, 35(4), pp.345-361.Waters, L. (2011) 'A review of school-based positive psychology interventions', The Educational and Developmental Psychologist, 28(2), pp.75-90.Willging, C. E., Israel, T., Ley, D. and , et al (2016) 'Coaching mental health peer advocates for rural LGBTQ people', Journal of Gay & Lesbian Mental Health, 20(3), pp.214-236. Dr. Erin M. Lefdahl-Davis is an Associate Professor of Graduate Counseling at Indiana Wesleyan University, a licensed psychologist, and a certified life coach. Dr. Levi Huffman is a certified life coach for Life Calling and Integrative Learning at Indiana Wesleyan University. Jackie Stancil is the Director of the Center for Life Calling and Integrative Learning at Indiana Wesleyan University, and a certified life coach. Alexandra J. Alayan is a Senior Research Assistant with the Center for Learning and Innovation and the Lumen Research Institute at Indiana Wesleyan University.